Happy Monday friends! 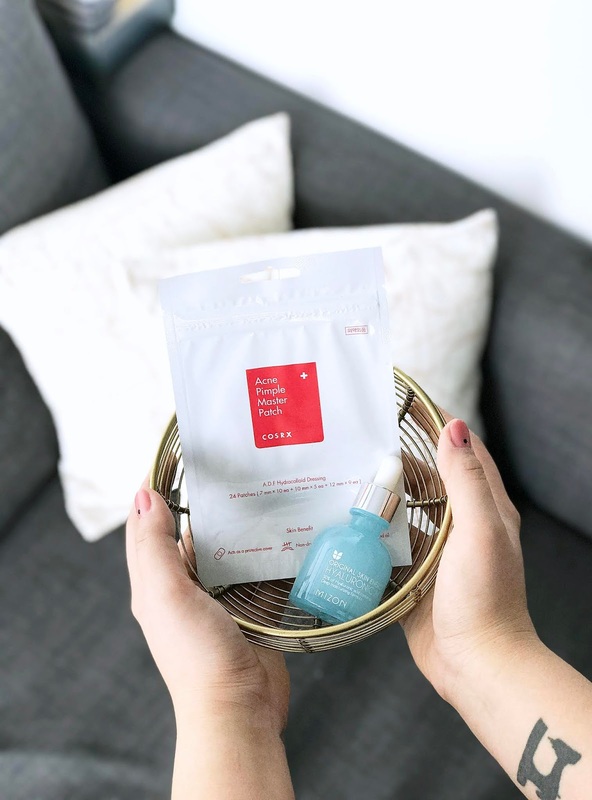 One thing you may not know about me is that when I first got into skincare and beauty, I was obsessed with K-Beauty products! For a good two to three years, most of my skincare was composed of Korean beauty products but I then made a shift to branching out to other brands. Sometimes I do find myself curious about K-Beauty products, and I'm usually never disappointed. Right now, I'm loving the Mizon Hyaluronic Acid Moisturizing Serum and the Cosrx Pimple Master Patches. I received these two products from Beauty Sphere, where you can find K-Beauty and other products for great prices! Starting with Mizon, I've been going through moisturizing serums like crazy! I've moved onto the Hyaluronic Acid Moisturizing Serum and I LOVE it. Hyaluronic acid is an extremely popular ingredient due to its ability to add long-lasting hydration back into the skin. I love how lightweight and fast-absorbing this serum is, and it's so much more effective now too since it's so much colder in Toronto. I've been using this in the mornings and it reminds me of taking off a sheet mask and rubbing the serum that the mask comes soaked in. My sister first introduced me to the Cosrx Pimple Master Patches and I've been obsessed with them ever since. These patches are essentially an overnight fixer to make whiteheads, blackheads, and picked zits disappear by morning. Each patch itself is a thin, clear hydrocolloid patch that sticks to your skin strongly. It treats breakouts by eliminating infection and bacteria. It's also able to break down and absorb gunk from your pimples so you won't experience a harsh, dry patch at all! I definitely want to do a more in-depth review on these patches because they are just that amazing. My favourite thing about using these patches is how my dark spots are significantly lighter than the pimples where I haven't used them. 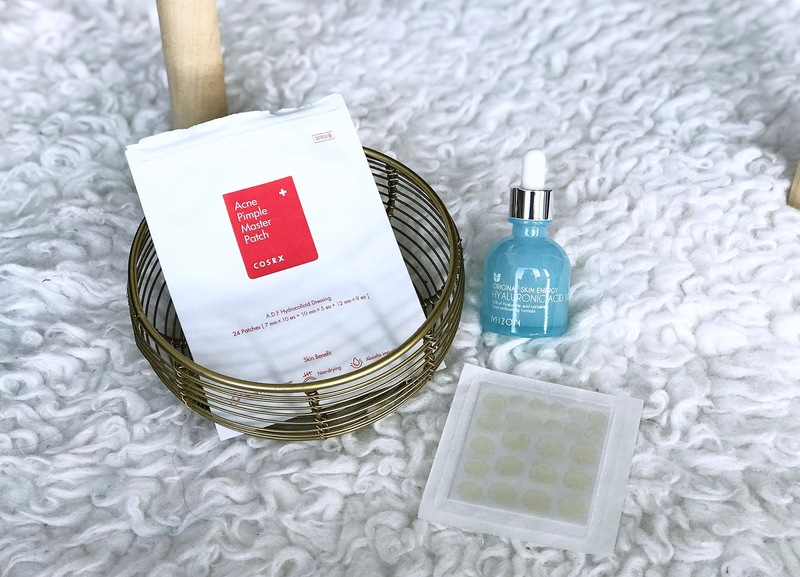 If you're interested in these two products, I would definitely check out Beauty Sphere, since I know it can be difficult to find Korean skincare products sometimes. If you've tried any of these out, I'd love to know your thoughts! Disclaimer* Products were sent for review, and all opinions are my own. Oh the COSRx patches are the best around! No other ones can really compare! They're so good right??? :) Thanks for reading Jayne! The CosRx patches are just the best things ever!